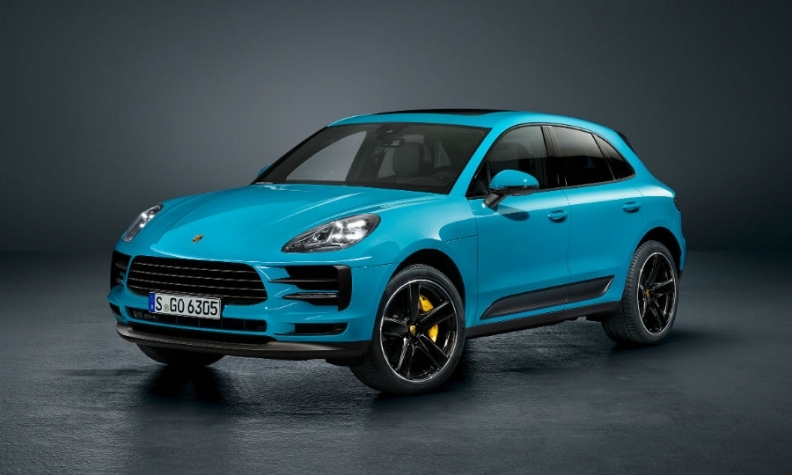 Porsche unveiled a refreshed Macan SUV in China last month. SHANGHAI -- Porsche expects to increase its vehicle sales this year thanks to higher demand in China after previously forecasting flat volume. In March Porsche said it expected only to reach the 246,375 units sold in 2017 this year, a forecast it reiterated after posting first-half sales that showed volumes grew 3 percent to 130,598 vehicles. "Chances are looking good that we will slightly exceed last year's sales," a Porsche spokesman said. Porsche's optimism comes after Beijing reduced import duties on cars to 15 percent from a previous 25 percent effective July, a significant reduction for the automaker, which builds all of its cars sold globally in Germany. Porsche's newfound optimism contrasts with the problems at Italian rival Maserati in China that were partly at fault for Fiat Chrysler Automobiles cutting its full-year guidance. "We expect sales to approach 80,000 cars in total for China this year," said Detlev von Platen, Porsche's head of sales and marketing, during the presentation of the refreshed Macan SUV here on July 25. This would equate to a 30 percent second-half increase over last year. Volumes through June shrank 7 percent to 33,000 vehicles in China due to a weak second quarter. While some customers delayed their purchase speculating correctly on an eventual price cut, Porsche said the drop was mainly due to an artificial bottleneck in supply. After China announced on May 22 that import duties would be lowered by 10 percentage points, the automaker halted delivery of all models to dealers in the country, leaving them on harbor docks waiting for their customs declarations. "This cost us 30 million RMB to warehouse the vehicles, but in the end it was still better than paying import duties that would have come out to 100 million," said a local Porsche sales executive. Thousands of cars were sitting in the three Chinese harbors of Tianjin, Guangzhou and Shanghai for nearly six weeks before resuming their journey to the just over 100 Porsche sales rooms across the country. "The orders were there, but only now are the cars being delivered. Since July 1st we are importing them once more, paying customs duties again, filling the pipeline and restocking inventories at our dealers," said Jens Puttfarcken, who officially assumed his new duties as head of China at the start of last month. "So, we will see this reflected in a big increase in our July sales results." Porsche said its order books are strong in China, helped by its decision to pass the benefit of the tariff reduction to its customers in full. It said this equated to more than a 7 percent reduction in the net cost of the vehicle once other taxes are included in the purchase price. Porsche expects its global sales to increase significantly when it launches its Taycan full-electric sedan next year. It plans to build about 20,000 Taycans a year.